“Feynman” redirects here. For other uses, see Feynman (disambiguation). Mountain View Cemetery and Mausoleum, Altadena, California, U.S.
Richard Phillips Feynman (/ˈfaɪnmən/; May 11, 1918 – February 15, 1988) was an American theoretical physicist known for his work in the path integral formulation of quantum mechanics, the theory of quantum electrodynamics, and the physics of the superfluidity of supercooled liquid helium, as well as in particle physics for which he proposed the parton model. For his contributions to the development of quantum electrodynamics, Feynman, jointly with Julian Schwinger and Sin’ichirō Tomonaga, received the Nobel Prize in Physics in 1965. Feynman developed a widely used pictorial representation scheme for the mathematical expressions governing the behavior of subatomic particles, which later became known as Feynman diagrams. During his lifetime, Feynman became one of the best-known scientists in the world. In a 1999 poll of 130 leading physicists worldwide by the British journal Physics World he was ranked as one of the ten greatest physicists of all time. He assisted in the development of the atomic bomb during World War II and became known to a wide public in the 1980s as a member of the Rogers Commission, the panel that investigated the Space Shuttle Challenger disaster. In addition to his work in theoretical physics, Feynman has been credited with pioneering the field of quantum computing, and introducing the concept of nanotechnology. He held the Richard C. Tolmanprofessorship in theoretical physics at the California Institute of Technology. Feynman was a keen popularizer of physics through both books and lectures, including a 1959 talk on top-down nanotechnology called There’s Plenty of Room at the Bottom, and the three-volume publication of his undergraduate lectures, The Feynman Lectures on Physics. Feynman also became known through his semi-autobiographical books Surely You’re Joking, Mr. Feynman! and What Do You Care What Other People Think? and books written about him, such as Tuva or Bust! and Genius: The Life and Science of Richard Feynman by James Gleick. 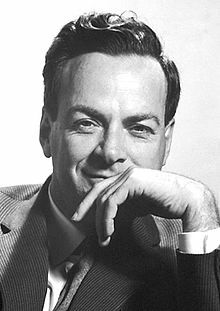 Richard Phillips Feynman was born on May 11, 1918, in Queens, New York City, to Lucille née Phillips, a homemaker, and Melville Arthur Feynman, a sales manager, originally from Minsk in Belarus, in those days part of the Russian Empire; both were Ashkenazi Jews. They were not religious, and by his youth, Feynman described himself as an “avowed atheist“. He also stated “To select, for approbation the peculiar elements that come from some supposedly Jewish heredity is to open the door to all kinds of nonsense on racial theory”, and adding, “at thirteen I was not only converted to other religious views, but I also stopped believing that the Jewish people are in any way ‘the chosen people‘.” Later in his life, during a visit to the Jewish Theological Seminary, he encountered the Talmud for the first time and remarked that it contained a medieval kind of reasoning and was a wonderful book. Like Albert Einstein and Edward Teller, Feynman was a late talker, and by his third birthday had yet to utter a single word. He retained a Brooklyn accent as an adult. That accent was thick enough to be perceived as an affectation or exaggeration – so much so that his good friends Wolfgang Pauli and Hans Bethe once commented that Feynman spoke like a “bum”. The young Feynman was heavily influenced by his father, who encouraged him to ask questions to challenge orthodox thinking, and who was always ready to teach Feynman something new. From his mother, he gained the sense of humor that he had throughout his life. As a child, he had a talent for engineering, maintained an experimental laboratory in his home, and delighted in repairing radios. When he was in grade school, he created a home burglar alarm system while his parents were out for the day running errands. When Richard was five years old, his mother gave birth to a younger brother, Henry Philips, who died at four weeks of age on February 25, 1924. Four years later, Richard’s sister Joan was born, and the family moved to Far Rockaway, Queens. Though separated by nine years, Joan and Richard were close, as they both shared a natural curiosity about the world. Their mother thought that women did not have the cranial capacity to comprehend such things. Despite their mother’s disapproval of Joan’s desire to study astronomy, Richard encouraged his sister to explore the universe. Joan eventually became an astrophysicist specializing in interactions between the Earth and the solar wind. In 1941, with World War II raging in Europe but the United States not yet at war, Feynman spent the summer working on ballistics problems at the Frankford Arsenal in Pennsylvania. After the attack on Pearl Harbor had brought the United States into the war, Feynman was recruited by Robert R. Wilson, who was working on means to produce enriched uranium for use in an atomic bomb, as part of what would become the Manhattan Project. Wilson’s team at Princeton was working on a device called an isotron, which would electromagnetically separate uranium-235 from uranium-238. This was done in a quite different manner from that used by the calutron that was under development by a team under Wilson’s former mentor, Ernest O. Lawrence, at the Radiation Laboratory at the University of California. On paper, the isotron was many times as efficient as the calutron, but Feynman and Paul Olum struggled to determine whether or not it was practical. Ultimately, on Lawrence’s recommendation, the isotron project was abandoned. At this juncture, in early 1943, Robert Oppenheimer was establishing the Los Alamos Laboratory, a secret laboratory on a remote mesa in New Mexico where atomic bombs would be designed and built. An offer was made to the Princeton team to be redeployed there. “Like a bunch of professional soldiers,” Wilson later recalled, “we signed up, en masse, to go to Los Alamos.” Like many other young physicists, Feynman soon fell under the spell of the charismatic Oppenheimer, who telephoned Feynman long distance from Chicago to inform him that he had found a sanatorium in Albuquerque, New Mexico, for Arline. They were among the first to depart for New Mexico, leaving on a train on March 28, 1943. The railroad supplied Arline with a wheelchair, and Feynman paid extra for a private room for her. At Los Alamos, Feynman was assigned to Hans Bethe’s Theoretical (T) Division, and impressed Bethe enough to be made a group leader. He and Bethe developed the Bethe–Feynman formula for calculating the yield of a fission bomb, which built upon previous work by Robert Serber. As a junior physicist, he was not central to the project. He administered the computation group of human computers in the theoretical division. With Stanley Frankel and Nicholas Metropolis, he assisted in establishing a system for using IBM punched cards for computation. He invented a new method of computing logarithms that he later used on the Connection Machine.Other work at Los Alamos included calculating neutron equations for the Los Alamos “Water Boiler”, a small nuclear reactor, to measure how close an assembly of fissile material was to criticality. On completing this work, Feynman was sent to the Clinton Engineer Works in Oak Ridge, Tennessee, where the Manhattan Project had its uranium enrichment facilities. He aided the engineers there in devising safety procedures for material storage so that criticality accidents could be avoided, especially when enriched uranium came into contact with water, which acted as a neutron moderator. He insisted on giving the rank and file a lecture on nuclear physics so that they would realize the dangers. He explained that while any amount of unenriched uranium could be safely stored, the enriched uranium had to be carefully handled. He developed a series of safety recommendations for the various grades of enrichments. He was told that if the people at Oak Ridge gave him any difficulty with his proposals, he was to inform them that Los Alamos “could not be responsible for their safety otherwise”. Returning to Los Alamos, Feynman was put in charge of the group responsible for the theoretical work and calculations on the proposed uranium hydride bomb, which ultimately proved to be infeasible. He was sought out by physicist Niels Bohr for one-on-one discussions. He later discovered the reason: most of the other physicists were too much in awe of Bohr to argue with him. Feynman had no such inhibitions, vigorously pointing out anything he considered to be flawed in Bohr’s thinking. He said he felt as much respect for Bohr as anyone else, but once anyone got him talking about physics, he would become so focused he forgot about social niceties. Perhaps because of this, Bohr never warmed to Feynman. Due to the top secret nature of the work, the Los Alamos Laboratory was isolated. Feynman indulged his curiosity by discovering the combination locks on cabinets and desks used to secure papers. He found that people tended to leave their safes unlocked, or leave them on the factory settings, or write the combinations down, or use easily guessable combinations like dates. Feynman played jokes on colleagues. In one case he found the combination to a locked filing cabinet by trying the numbers he thought a physicist would use (it proved to be 27–18–28 after the base of natural logarithms, e = 2.71828…), and found that the three filing cabinets where a colleague kept a set of atomic bomb research notes all had the same combination. He left a series of notes in the cabinets as a prank, which initially spooked his colleague, Frederic de Hoffmann, into thinking a spy or saboteur had gained access to atomic bomb secrets. Feynman’s salary was $380 a month, about half what he needed to cover his modest living expenses and Arline’s medical bills. The rest came from her $3,300 in savings. On weekends, Feynman drove to Albuquerque to see his ailing wife in a car borrowed from his good friend Klaus Fuchs. Asked who at Los Alamos was most likely to be a spy, Fuchs speculated that Feynman, with his safe cracking and frequent trips to Albuquerque, was the most likely candidate. When Fuchs confessed to being a spy for the Soviet Union in 1950, this would be seen in a different light. The FBI would compile a bulky file on Feynman. Feynman was working in the computing room when he was informed that Arline was dying. He borrowed Fuchs’ car and drove to Albuquerque where he sat with her for hours until she died on June 16, 1945. He immersed himself in work on the project and was present at the Trinity nuclear test. Feynman claimed to be the only person to see the explosion without the very dark glasses or welder’s lenses provided, reasoning that it was safe to look through a truck windshield, as it would screen out the harmful ultraviolet radiation. On witnessing the blast, Feynman ducked towards the floor of his truck because of the immense brightness of the explosion, where he saw a temporary “purple splotch” afterimage of the event. As early as 30 October 1943, Bethe had written to the chairman of the physics department of his university, Cornell, to recommend that Feynman be hired. On 28 February 1944, this was endorsed by Robert Bacher, also from Cornell, and one of the most senior scientists at Los Alamos. This led to an offer being made in August 1944, which Feynman accepted. Oppenheimer had also hoped to recruit Feynman to the University of California, but the head of the physics department, Raymond T. Birge was reluctant. Eventually, he made Feynman an offer in May 1945, but Feynman turned it down. Cornell did, however, match its salary offer of $3,900 per annum. Feynman became one of the first of the Los Alamos Laboratory’s group leader to depart, leaving for Ithaca, New York, in October 1945. Unable to focus on research problems, Feynman began tackling physics problems, not for utility, but for self-satisfaction. One of these involved analyzing the physics of a twirling, nutating disk as it is moving through the air, inspired by an incident in the cafeteria at Cornell when someone tossed a dinner plate in the air. He read the work of Sir William Rowan Hamilton on quaternions, and attempted unsuccessfully to use them to formulate a relativistic theory of electrons. His work during this period, which used equations of rotation to express various spinning speeds, ultimately proved important to his Nobel Prize–winning work, yet because he felt burned out and had turned his attention to less immediately practical problems, he was surprised by the offers of professorships from other renowned universities, including the Institute for Advanced Study, the University of California, Los Angeles, and the University of California, Berkeley. Feynman was not the only frustrated theoretical physicist in the early post-war years. Quantum electrodynamics suffered from infinite integrals in perturbation theory. These were clear mathematical flaws in the theory, which Feynman and Wheeler had unsuccessfully attempted to work around. 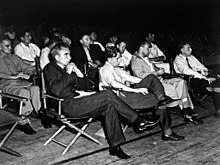 “Theoreticians”, noted Murray Gell-Mann, “were in disgrace.” In June 1947, leading American physicists met at the Shelter Island Conference. For Feynman, it was his “first big conference with big men … I had never gone to one like this one in peacetime.” The problems plaguing quantum electrodynamics were discussed, but the theoreticians were completely overshadowed by the achievements of the experimentalists, who reported the discovery of the Lamb shift, the measurement of the magnetic moment of the electron, and Robert Marshak‘s two-meson hypothesis. Bethe took the lead from the work of Hans Kramers, and derived a renormalized non-relativistic quantum equation for the Lamb shift. The next step was to create a relativistic version. Feynman thought that he could do this, but when he went back to Bethe with his solution, it did not converge. Feynman carefully worked through the problem again, applying the path integral formulation that he had used in his thesis. Like Bethe, he made the integral finite by applying a cut-off term. The result corresponded to Bethe’s version. Feynman presented his work to his peers at the Pocono Conference in 1948. It did not go well. Julian Schwinger gave a long presentation of his work in quantum electrodynamics, and Feynman then offered his version, titled “Alternative Formulation of Quantum Electrodynamics”. The unfamiliar Feynman diagrams, used for the first time, puzzled the audience. Feynman failed to get his point across, and Paul Dirac, Edward Teller and Niels Bohr all raised objections. To Freeman Dyson, one thing at least was clear: Sin’ichirō Tomonaga, Schwinger and Feynman understood what they were talking about even if no one else did, but had not published anything. Moreover, he was convinced that Feynman’s formulation was easier to understand, and ultimately managed to convince Oppenheimer that this was the case. Dyson published a paper in 1949, which added new rules to Feynman’s that told how to implement renormalization. Feynman was prompted to publish his ideas in the Physical Review in a series of papers over three years. His 1948 papers on “A Relativistic Cut-Off for Classical Electrodynamics” attempted to explain what he had been unable to get across at Pocono. His 1949 paper on “The Theory of Positrons” addressed the Schrödinger equation and Dirac Equation, and introduced what is now called the Feynman propagator. Finally, in papers on the “Mathematical Formulation of the Quantum Theory of Electromagnetic Interaction” in 1950 and “An Operator Calculus Having Applications in Quantum Electrodynamics” in 1951, he developed the mathematical basis of his ideas, derived familiar formulae and advanced new ones. While papers by others initially cited Schwinger, papers citing Feynman and employing Feynman diagrams appeared in 1950, and soon became prevalent. Students learned and used the powerful new tool that Feynman had created. Eventually, computer programs were written to compute Feynman diagrams, providing a tool of unprecedented power. It is possible to write such programs because the Feynman diagrams constitute a formal language with a formal grammar. Marc Kac provided the formal proofs of the summation under history, showing that the parabolic partial differential equation can be reexpressed as a sum under different histories (that is, an expectation operator), what is now known as the Feynman–Kac formula, the use of which extends beyond physics to many applications of stochastic processes. To Schwinger, the Feynman diagram was “pedagogy, not physics”. By 1949, Feynman was becoming restless at Cornell. He never settled into a particular house or apartment, living in guest houses or student residences, or with married friends “until these arrangements became sexually volatile”. He liked to date undergraduates, hire prostitutes, and sleep with the wives of friends. He was not fond of Ithaca’s cold winter weather, and pined for a warmer climate. Above all, at Cornell he was always in the shadow of Hans Bethe. Feynman did, however, look back favorably on the Telluride House, where he resided for a large period of his Cornell career. In an interview he described the House as “a group of boys that [sic] have been specially selected because of their scholarship, because of their cleverness or whatever it is, to be given free board and lodging and so on, because of their brains”. He enjoyed the house’s convenience and said that “it’s there that I did the fundamental work” for which he won the Nobel Prize. Feynman spent several weeks in Rio de Janeiro in July 1949, and brought back a woman called Clotilde from Copacabana who lived with him in Ithaca for a time. In addition to the cold weather, there was also the Cold War. The Soviet Union detonated its first atomic bomb in 1949, generating anti-communist hysteria. Fuchs was arrested as a Soviet spy in 1950, and the FBI questioned Bethe about Feynman’s loyalty. Physicist David Bohm was arrested on December 4, 1950, and emigrated to Brazil in October 1951. A girlfriend told Feynman that he should consider moving to South America. He had a sabbatical coming for 1951–52, and elected to spend it in Brazil, where he gave courses at the Centro Brasileiro de Pesquisas Físicas. In Brazil, Feynman was particularly impressed with the Samba music, and learned to play a metal percussion instrument, the frigideira. He was an enthusiastic amateur player of bongo drums and often played them in the pit orchestra in musicals. He spent time in Rio with his good friend Bohm, but Bohm could not convince Feynman to take up investigating Bohm’s ideas on physics. Feynman did not return to Cornell. Bacher, who had been instrumental in bringing Feynman to Cornell, had lured him to the California Institute of Technology (Caltech). Part of the deal was that he could spend his first year on sabbatical in Brazil. He had become smitten by Mary Louise Bell, a platinum blonde from Neodesha, Kansas. They had met in a cafeteria in Cornell, where she had studied the history of Mexican art and textiles. She later followed him to Caltech, where he gave a lecture. While he was in Brazil, she had taught classes on the history of furniture and interiors at Michigan State University. He proposed to her by mail from Rio de Janeiro, and they married in Boise, Idaho, on June 28, 1952, shortly after he returned. They frequently quarrelled and she was frightened by his violent temper. Their politics were different; although he registered and voted as a Republican, she was more conservative, and her opinion on the 1954 Oppenheimer security hearing (“Where there’s smoke there’s fire”) offended him. They separated on May 20, 1956. An interlocutory decree of divorce was entered on June 19, 1956, on the grounds of “extreme cruelty”. The divorce became final on May 5, 1958. I do not know—but I believe that Richard Feynman is either a Communist or very strongly pro-Communist—and as such as [sic] a very definite security risk. This man is, in my opinion, an extremely complex and dangerous person, a very dangerous person to have in a position of public trust … In matters of intrigue Richard Feynman is, I believe immensely clever—indeed a genius—and he is, I further believe, completely ruthless, unhampered by morals, ethics, or religion—and will stop at absolutely nothing to achieve his ends. The government did, however, send Feynman to Geneva for the September 1958 Atoms for Peace Conference. On the beach on Lake Geneva, he met Gweneth Howarth, who was from Ripponden, Yorkshire, and working in Switzerland as an au pair. Feynman’s love life had been turbulent since his divorce; his previous girlfriend had walked off with his Albert Einstein Award medal, and, on the advice of an earlier girlfriend, had feigned pregnancy and blackmailed him into paying for an abortion, then used the money to buy furniture. When Feynman found that Howarth was being paid only $25 a month, he offered her $20 a week to be his live-in maid. That this sort of behavior was illegal was not overlooked; Feynman had a friend, Matthew Sands, act as her sponsor. Howarth pointed out that she already had two boyfriends, but eventually decided to take Feynman up on his offer, and arrived in Altadena, California, in June 1959. She made a point of dating other men but Feynman proposed in the spring of 1960. They were married on September 24, 1960, at the Huntington Hotel in Pasadena. They had a son, Carl, in 1962, and adopted a daughter, Michelle, in 1968. Besides their home in Altadena, they had a beach house in Baja California, purchased with the money from Feynman’s Nobel Prize. Feynman tried LSD during his professorship at Caltech. He also tried marijuana and ketamine experiences at John Lilly‘s famed sensory deprivation tanks, as a way of studying consciousness. He gave up alcohol when he began to show vague, early signs of alcoholism, as he did not want to do anything that could damage his brain. At Caltech, Feynman investigated the physics of the superfluidity of supercooled liquid helium, where helium seems to display a complete lack of viscosity when flowing. Feynman provided a quantum-mechanical explanation for the Soviet physicist Lev D. Landau’s theory of superfluidity. Applying the Schrödinger equation to the question showed that the superfluid was displaying quantum mechanical behavior observable on a macroscopic scale. This helped with the problem of superconductivity, but the solution eluded Feynman. It was solved with the BCS theory of superconductivity, proposed by John Bardeen, Leon Neil Cooper, and John Robert Schrieffer. With Murray Gell-Mann, Feynman developed a model of weak decay, which showed that the current coupling in the process is a combination of vector and axial currents (an example of weak decay is the decay of a neutron into an electron, a proton, and an antineutrino). Although E. C. George Sudarshan and Robert Marshak developed the theory nearly simultaneously, Feynman’s collaboration with Murray Gell-Mann was seen as seminal because the weak interaction was neatly described by the vector and axial currents. It thus combined the 1933 beta decay theory of Enrico Fermi with an explanation of parity violation. From his diagrams of a small number of particles interacting in spacetime, Feynman could then model all of physics in terms of the spins of those particles and the range of coupling of the fundamental forces. Feynman attempted an explanation of the strong interactions governing nucleons scattering called the parton model. The parton model emerged as a complement to the quark model developed by Gell-Mann. The relationship between the two models was murky; Gell-Mann referred to Feynman’s partons derisively as “put-ons”. In the mid-1960s, physicists believed that quarks were just a bookkeeping device for symmetry numbers, not real particles; the statistics of the Omega-minus particle, if it were interpreted as three identical strange quarks bound together, seemed impossible if quarks were real. The SLAC National Accelerator Laboratory deep inelastic scattering experiments of the late 1960s showed that nucleons (protons and neutrons) contained point-like particles that scattered electrons. It was natural to identify these with quarks, but Feynman’s parton model attempted to interpret the experimental data in a way that did not introduce additional hypotheses. For example, the data showed that some 45% of the energy momentum was carried by electrically neutral particles in the nucleon. These electrically neutral particles are now seen to be the gluons that carry the forces between the quarks, and their three-valued color quantum number solves the Omega-minus problem. Feynman did not dispute the quark model; for example, when the fifth quark was discovered in 1977, Feynman immediately pointed out to his students that the discovery implied the existence of a sixth quark, which was discovered in the decade after his death. After the success of quantum electrodynamics, Feynman turned to quantum gravity. By analogy with the photon, which has spin 1, he investigated the consequences of a free massless spin 2 field, and derived the Einstein field equation of general relativity, but little more. The computational device that Feynman discovered then for gravity, “ghosts”, which are “particles” in the interior of his diagrams that have the “wrong” connection between spin and statistics, have proved invaluable in explaining the quantum particle behavior of the Yang–Mills theories, for example, quantum chromodynamics and the electro-weak theory. He did work on all four of the forces of nature: electromagnetic, the weak force, the strong force and gravity. 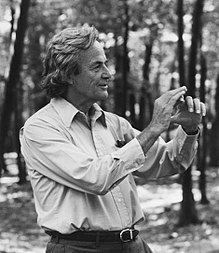 John and Mary Gribbin say in their book on Feynman: “Nobody else has made such influential contributions to the investigation of all four of the interactions”. Partly as a way to bring publicity to progress in physics, Feynman offered $1,000 prizes for two of his challenges in nanotechnology; one was claimed by William McLellan and the other by Tom Newman. He was also one of the first scientists to conceive the possibility of quantum computers. In 1984–86, he developed a variational method for the approximate calculation of path integrals, which has led to a powerful method of converting divergent perturbation expansions into convergent strong-coupling expansions (variational perturbation theory) and, as a consequence, to the most accurate determination of critical exponents measured in satellite experiments. In the 1960s, Feynman began thinking of writing an autobiography, and he began granting interviews to historians. In the 1980s, working with Ralph Leighton (Robert Leighton’s son), he recorded chapters on audio tape that Robert transcribed. The book was published in 1985 as Surely You’re Joking, Mr. Feynman! and became a best-seller. The publication of the book brought a new wave of protest about Feynman’s attitude toward women. There had been protests over his alleged sexism in 1968, and again in 1972. It did not help that Jenijoy La Belle, who had been hired as Caltech’s first female professor in 1969, was refused tenure in 1974. She filed suit with the Equal Employment Opportunity Commission, which ruled against Caltech in 1977, adding that she had been paid less than male colleagues. La Belle finally received tenure in 1979. Many of Feynman’s colleagues were surprised that he took her side. He had gotten to know her, and both liked and admired her. Gell-Mann was upset by Feyman’s account in the book of the weak interaction work, and threatened to sue, resulting in a correction being inserted in later editions. This incident was just the latest provocation in a decades-long bad feeling between the two scientists. Gell-Mann often expressed frustration at the attention Feynman received; he remarked: “[Feynman] was a great scientist, but he spent a great deal of his effort generating anecdotes about himself.” He noted that Feynman’s eccentricities included a refusal to brush his teeth, which he advised others not to do on national television, despite dentists showing him scientific studies that supported the practice. Feynman played an important role on the Presidential Rogers Commission, which investigated the Challenger disaster. During a televised hearing, Feynman demonstrated that the material used in the shuttle’s O-rings became less resilient in cold weather by compressing a sample of the material in a clamp and immersing it in ice-cold water. The commission ultimately determined that the disaster was caused by the primary O-ring not properly sealing in unusually cold weather at Cape Canaveral. The first public recognition of Feynman’s work came in 1954, when Lewis Strauss, the chairman of the Atomic Energy Commission (AEC) notified him that he had won the Albert Einstein Award, which was worth $15,000 and came with a gold medal. Because of Strauss’ actions in stripping Oppenheimer of his security clearance, Feynman was reluctant to accept the award, but Isidor Isaac Rabi cautioned him: “You should never turn a man’s generosity as a sword against him. Any virtue that a man has, even if he has many vices, should not be used as a tool against him.” This was followed by the AEC’s Ernest Orlando Lawrence Award in 1962. In 1965, he shared the Nobel Prize in Physics with Schwinger and Tomonaga “for their fundamental work in quantum electrodynamics, with deep-ploughing consequences for the physics of elementary particles”. He was elected a Foreign Member of the Royal Society in 1965, and received the Oersted Medal in 1972, and the National Medal of Science in 1979. He was elected a member of the National Academy of Sciences, but ultimately resigned and is no longer listed by them. In 1978 Feynman sought medical treatment for abdominal pains, and was diagnosed with liposarcoma, a rare form of cancer. Surgeons removed a tumor the size of a football that had crushed his kidney and spleen. Further operations were performed in October 1986 and October 1987. He was again hospitalized at the UCLA Medical Center on February 3, 1988. A ruptured duodenal ulcer caused kidney failure, and he declined to undergo the dialysis that might have prolonged his life for a few months. Watched over by his wife Gweneth, sister Joan, and cousin Frances Lewine, he died on February 15, 1988. When the end was near, Feynman asked Danny Hillis why he was so sad. He replied that he thought Feynman was going to die soon. Feynman said that that sometimes bothered him, too, adding, when you get to be as old as he was, and have told so many stories to so many people, even when he was dead he wouldn’t be completely gone. Infinity, a movie both directed by and starring Matthew Broderick as Feynman, depicting his love affair with his first wife and ending with the Trinity test. 1996. Parnell, Peter (2002) “QED” Applause Books, ISBN 978-1-55783-592-5, (play). “The Quest for Tannu Tuva”, with Richard Feynman and Ralph Leighton. 1987, BBC Horizon and PBS Nova (entitled “Last Journey of a Genius”). 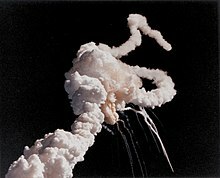 The Challenger (2013) A BBC Two factual drama starring William Hurt, tells the story of American Nobel prize-winning physicist Richard Feynman’s determination to reveal the truth behind the 1986 space shuttle Challenger disaster. The Fantastic Mr Feynman. One hour documentary. 2013, BBC TV. In the first video below in the 3rd clip in this series are his words and my response is below them. John Piippo in his article 50 Renowned Academics (Atheists) Speaking About God – A Review, (August 05, 2011) concerning Feynam’s quote (which is in bold). Let me give 4 short responses. FIRST, Romans 1 points that every person has a God-given conscience instead of them that tells them that God exists. The interesting factor is that this can be tested by a lie-detector and there was a proposition I made to the FELLOWS of CSICOP concerning that in the 1990’s. I was very honored that many of the them replied (including Antony Flew and Carl Sagan). SECOND, let me recommend a book by Sean McDowell and Jonathan Marrow, called Is God Just a Human Invention? And Seventeen Other Questions Raised by the New Atheists.